In the problem of curve fitting to discrete data, the L1 norm can play an important role when the data contains large errors, or when some of the data is exceptional. 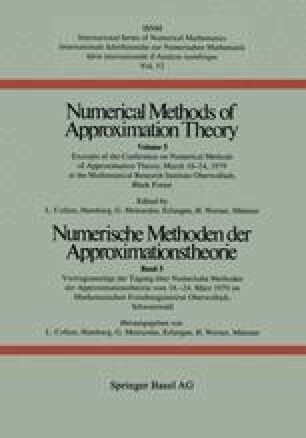 In this paper is considered the problem of providing robust, efficient methods, capable of fast ultimate convergence, for the nonlinear discrete L1 approximation problem. Algorithms based on a Levenberg-like approach are given, together with a convergence analysis, and it is shown how second derivative information may be incorporated. Numerical results for some test problems are included.